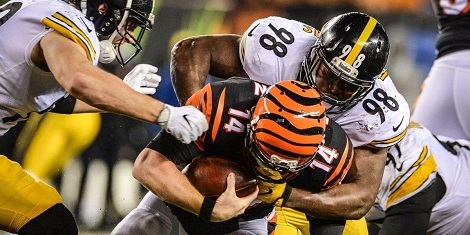 So the Steelers offense, defense and special teams each authored dramatic Splash Plays that, on one level, had a decisive impact on the outcome. 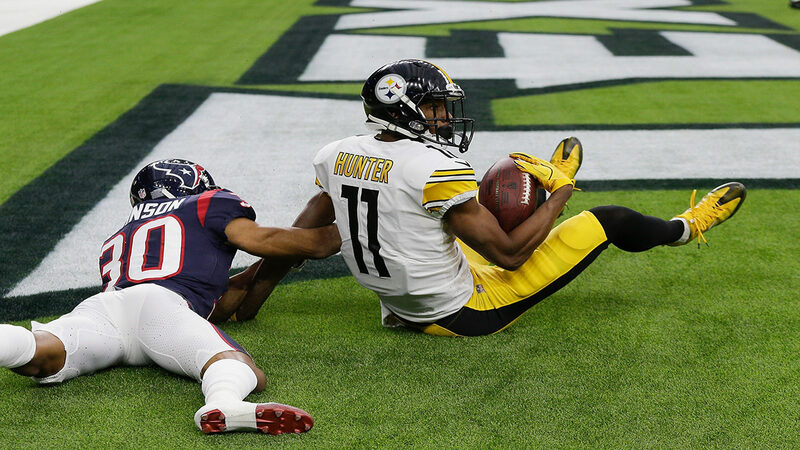 But viewed from another angle, the Steelers performance revealed a bit of a different truth about football: For Splash Plays to be decisive, they must be backed by sound fundamental football. From Down 0-7 to Up 14-7 in 0:24 Seconds…. 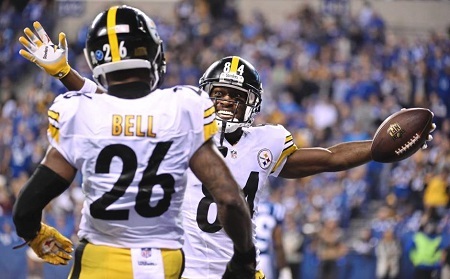 While it will long be forgotten, things did NOT start out well for the Steelers. Going into the game stopping Carolina’s high-octane offense was paramount. And the Panthers opened with a 6 play 75 yard drive that featured a lot of Christian McCaffrey and Cam Newton, with Pittsburgh looking powerless to slow, let alone stop the duo. But when two Carolina corners collided on what was to be a short pass to James Washington, Ben Roethlisberger hurled a bomb to JuJu Smith-Schuster who took it to the house. The record will reflect that Carolina’s lead would last all of 0:11 seconds. They fared a little better with a tie, to the tune of 0:13 seconds, as T.J. Watt wrapped Cam Newton in the end zone. Newton, like Roethlisberger is tough to bring down, and he resisted long enough to save a safety by tossing the ball away, but he didn’t intend hitting Vince Williams, who took the interception to the house giving the Steelers a 14-7 lead. …we’ve seen that so many times. There is too much ball after that to think that is the defining moment. It’s not. It was a great moment but whether it was positive or negative the games are never defined by plays that occur that early. And Mike Tomlin is right. 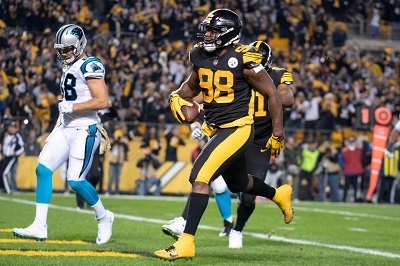 A big play’s impact only reverberates through the end result of the game if you follow solid fundamental football, which is indeed what the Steelers delivered in the game’s remaining forty nine minutes and 55 seconds of play. 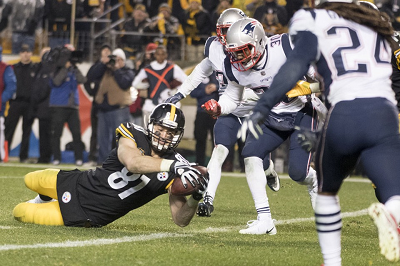 While the plays perhaps don’t provide much in the way of ESPN highlight material, its entirely possible that the series following Vince Williams’ Pick Six was the most important of the night. Javon Hargrave stuffed Christian McCafferty for a 1 yard gain on first. 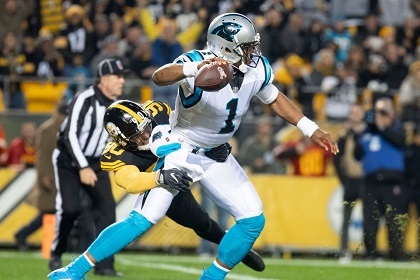 The Steelers defense confused Cam Newton, forcing him to burn a time out. Instead of answering the Steelers score, Carolina had to punt. That in turn allowed the Steelers to lean on James Conners on the ensuring drive to build a 14 point advantage. By the time Carolina got within sniffing distance of another score, a 50 yard Chris Boswell field goal had already given the Steelers a 17 point advantage. Carolina did indeed cut the Steelers advantage to 10 on another Christian McCafferty touchdown, but it took Ben Roethlisberger and Antonio Brown less than 2 minutes to put the Steelers back up by 17 when the duo hooked up on a 53 yard touchdown play. 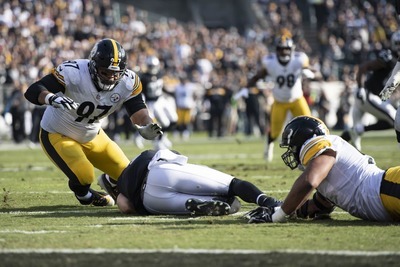 For the second straight week the Steelers started the second half by getting the ball, and for the second straight week Randy Fichtner’s offense opened by engineering a long, clock consuming drive. This one saw the Steelers convert 3 third downs, and burn more than 6 minutes off of the clock, as Vance McDonald pulled down a touchdown to put the Steelers up 38 to 14. Carolina started the first half soundly, as Christian McCafferty got 5 yards on his opening carry. However, Bud Dupree sacked Cam Newton for an 11 yard loss on the next play, and Carolina’s first drive ended in a punt. The rout was on. 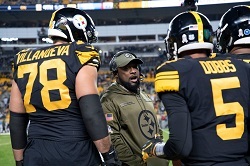 Mike Tomlin went into the game planning to play every player with a helmet, and every player had a piece of the victory. Joshua Dobbs did lose the perfect passer rating he’d taken out of the Ravens game, but that is a small price to pay for seeing your 2nd string quarterback come out for clean up duty in the 4th quarter. 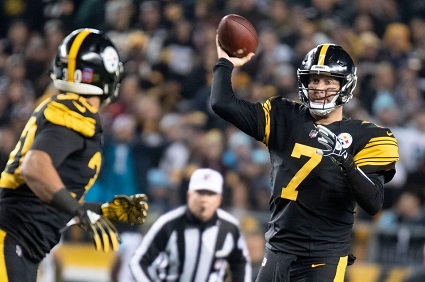 While the win over the Panthers was truly a team effort, any analysis must acknowledge the exceptional play by Ben Roethlisberger, who en route a perfect passer rating game managed to convert third downs at will, while throwing 5 touchdown passes to 5 different players. As noted in our Report Card, the last time the Steelers played at night in Heinz Field it appeared to be lights out for Pittsburgh. 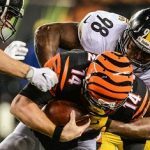 On Thursday Night Football, the Steelers dominated a hot team and one that is a legitimate NFC contender. Really big performance against versus a really good team on a short week so there is a lot to be proud of, but we are probably not that good. You get games like that sometimes. The ball gets rolling down hill, we are appreciative of it. If Mike Tomlin can get his team to internalize that attitude, then the Steelers stand a strong chance of gaining a measure of revenge against the Jaguars next Sunday in Jacksonville. The Pittsburgh has a new kick returner, as the Steelers traded for Ryan Switzer from the Oakland Raiders, acquiring the return specialist for a 5th round pick in the 2019 NFL Draft. The Steelers also get the Raider’s 6th round pick as part of the deal. 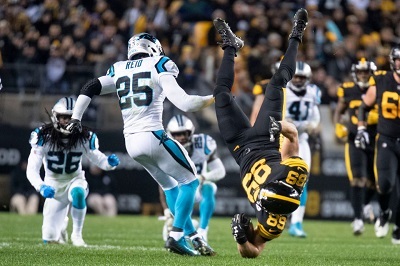 Joe Rutter of the Pittsburgh Tribune-Review reports that Mike Tomlin plans to immediately insert Ryan Switzer into the Steelers lineup and hopes to play him in the Steelers preseason finale on Thursday evening against the Carolina Panthers. We’ll put him in the mix with these guys and hopefully get him ready to go Thursday night and just continue to build our football team in trying to be strong in all areas. To make room for Switzer, the Steelers waived Justin Thomas, who’d hopped to make the team as a returner or slot receiver. Originally drafted by the Dallas Cowboys in the 3th Round of the 2017 NFL Draft, Ryan Switzer averaged 25 yards on 24 kickoff returns in 2017. While he didn’t take one to the house, he did have a long return of 61 yards. Switzer also returned 29 punts for an 8.8 yard average and including one 83 yard punt return for a touchdown. The Cowboys seldom threw to Switzer, who caught 6 passes for 41 yards. During preseason, Switzer caught 1 touchdown for yards and returned 3 punts for -0.5 yards. Bad News for Quadree Henderson? Ryan Switzer’s arrival is bad news for any number of hopeful undrafted rookies and 2nd year players hoping to make the team. Pitt standout Quadree Henderson was signed as a rookie free agent with an eye towards using him as a returner, but he has not impressed thus far as a return specialist. 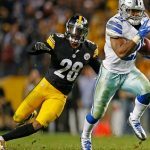 The Steelers have also used cornerback Cam Sutton as a punt returner and last year they used Eli Rogers in that capacity, but Eli Rogers remains on the PUP list and would serve a 1 game suspension for substance abuse anyway. Ryan Switzer can also play as a slot receiver. That decreases Markus Tucker and Trey Griffey chances of making the final roster, as well as those of Damoun Patterson. 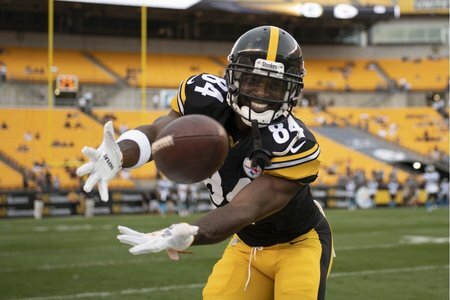 Current Antonio Brown, JuJu Smith-Schuster and rookie James Washington are locks to make the Steelers roster at wide receiver. Ryan Switzer would figure to be the 4th. Veteran Darrius Heyward-Bey is primarily in the mix, although his value to the team is more on special teams than as a wide out. For a long time, even into the Mike Tomlin era, it was rare for the Steelers to acquire players by trade. 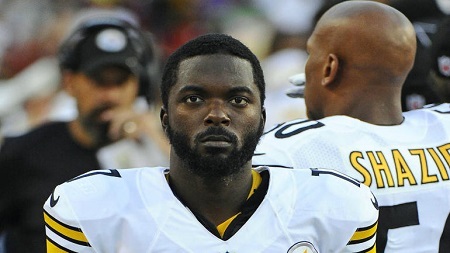 Mike Tomlin and Kevin Colbert did trade to acquire kick returner Allen Rossum in 2007. But starting in 2013 summer trades became more comment for the Steelers.